White is a color that has always been associated with anything pristine and angelic. 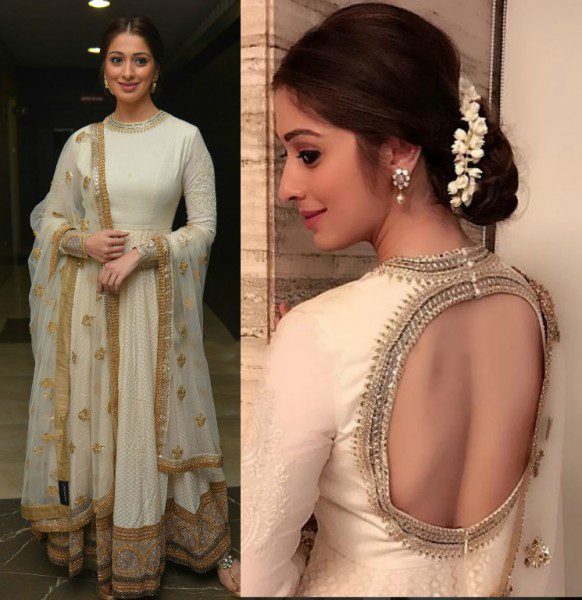 Laxmi Raai sets an exemplary example of why you should add more white to your wardrobe. Recently, the celebrity was spotted at the audio launch of Kotikokkadu. The fashionista looked angelic to stay the least and turned a lot of heads with her ethnic attire. Let’s take a closer look at what she wore at the event. Happy reading! The celebrity was able to enchant everyone with her serene look. 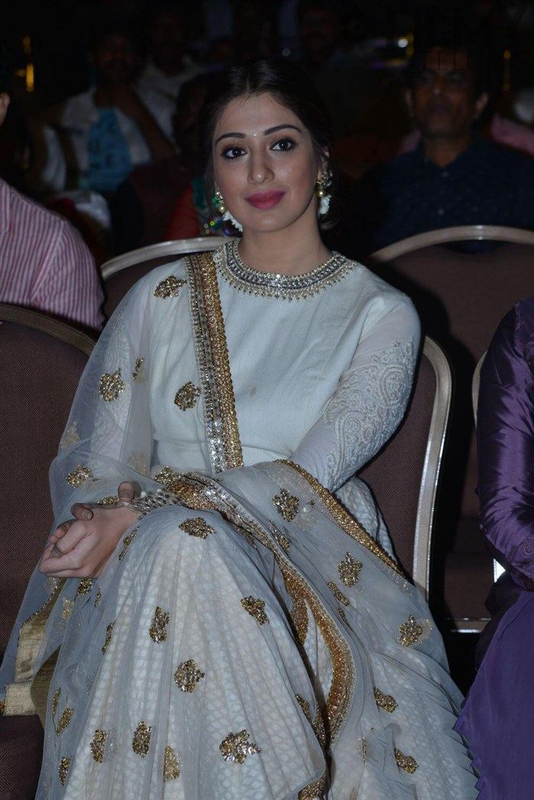 She looked stunning in her white Anarkali by designer Sabyasachi. The Anarkali had golden embellishments with intricate designs on the dupatta. The back of the outfit was interesting as well. As for her hair and makeup, the celeb tied her hair in a bun which was adorned by jasmine flowers. Her makeup was spot on. She selected a pair of pearl earrings and a pair of studded chappals to complete her look. We loved her elegant and sophisticated look, did you? Do share your thoughts with us in the comments section.